This project was implemented under the same contract as the Arlington Boulevard & Manchester Street intersection safety improvements project. 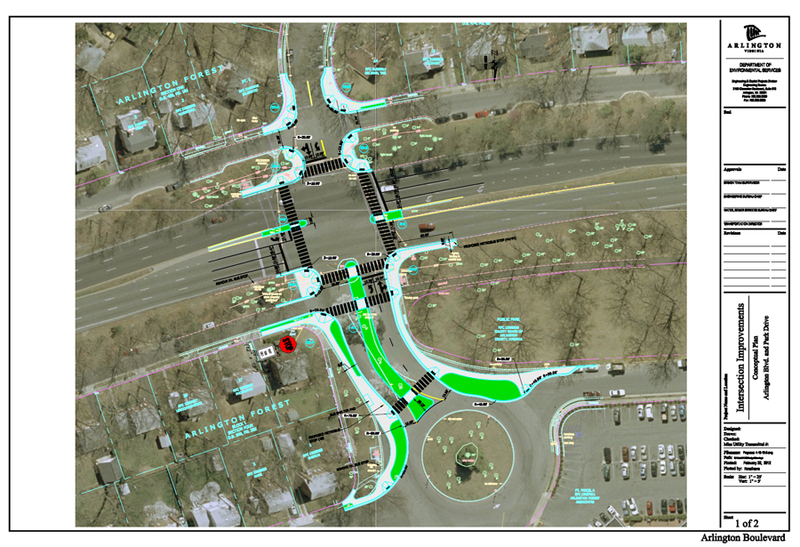 Arlington Boulevard (Route 50) carries an estimated 64,000 vehicles daily through the Park Drive intersection. Traffic volume and speed, coupled with significant truck traffic, create a hostile environment for pedestrians, bikers, transit riders and people with disabilities. We developed a plan for an urban-style intersection that will reduce speeding and the incidence of collisions, and ultimately improve safety for all. The project will create better access and crossings for pedestrians, transit users, bikers and those traveling on the shared-use paths parallel to Arlington Boulevard. 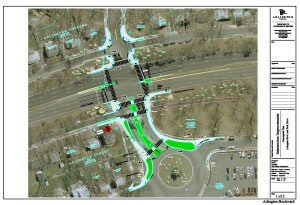 February 2012 – Staff presented 75 percent concept design; civic association voted to support the project. November 2011 – Presented 50 percent design to the community. September 2011 – Presented initial concept design to the community. The project is funded through the VDOT Highway Safety Improvement Program and administered through Arlington County.